We always pay a lot of attention to SEO, and AMP pages requires the same attention. weeblrAMP has a number of SEO-related features, that basically comes down to trying to help search engines to understand your page content more easily. For that, we mostly use 2 types of tools: page description meta data and schema.org structured data. 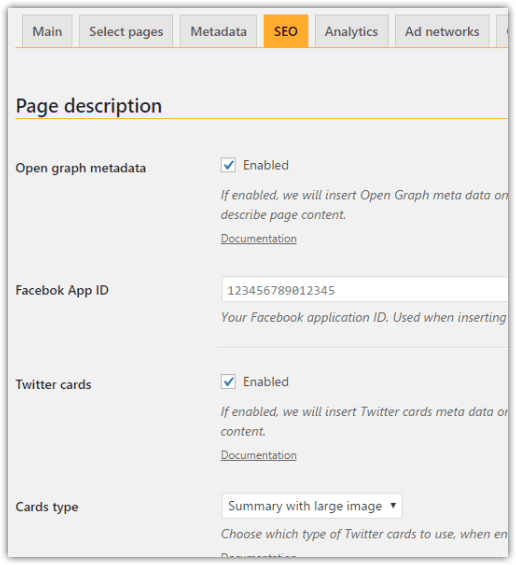 Be sure to provide appropriate accounts data for Facebook and Twitter, or if you have other plans for inserting those metadata, you can disable them individually. 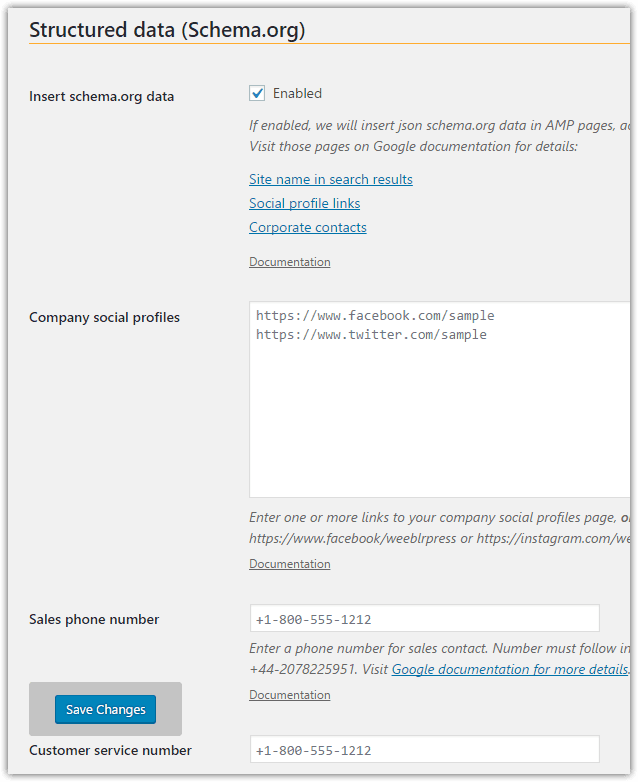 Generating schema.org structured data is mostly automated (but can be disabled). We only use json-ld markup to insert structured data. In case you want to provide more details, or some meta data is not extracted correctly from your content, you can use shortcodes to provide more data. Please see next page for details.